He is happy that he can go to school and be with Greek students. 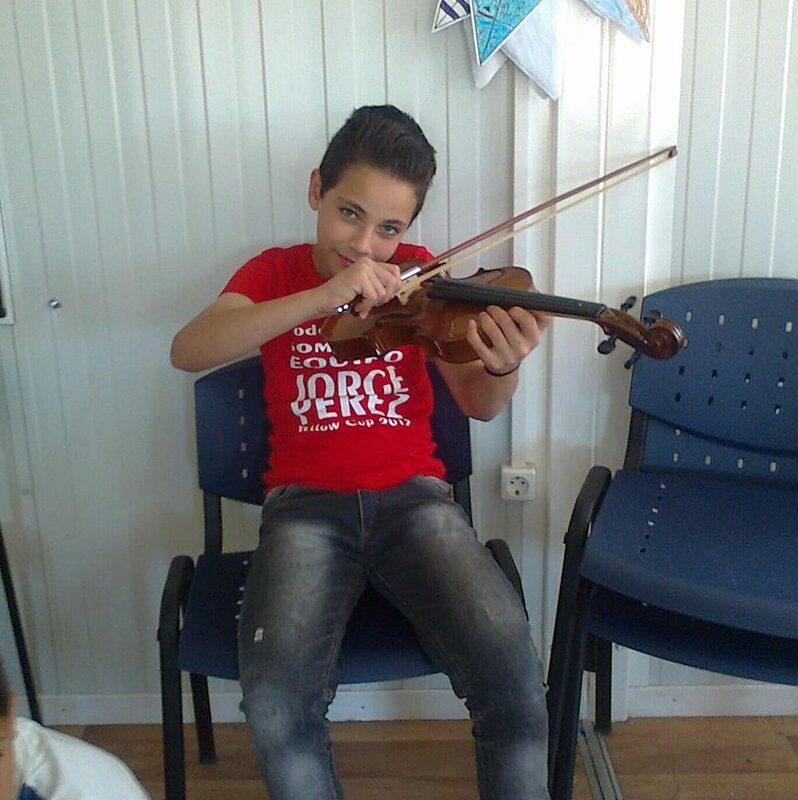 He also participates in the music lessons of El Sistema Greece in the refugee center of Skaramagas, where he learns to play the violin. In the future, he wants to be a doctor but also to keep going the violin lessons. Even when he will go to Germany with his family he plans to continue the music lessons and playing the violin.